Hey, Jason Lee here and today we're going to talk about how to pick the right network marketing company. If you're in the market looking for a home and you're looking for a network marketing company to join, this video and this blog article, this post, whatever you're looking at with this video will show you exactly how to do that so stay tuned. How do you pick the right network marketing company to join? There's plenty of companies that have come and gone. There's plenty of network marketing companies that have started up and then disappeared tomorrow. How do you ensure that you're going to pick the right one that is going to last the long term, especially if you want to stick with it, you want to grow with it and build a bigger organization? If a company goes out of business, it doesn't matter how great the comp line is. It doesn't matter how great things are. If they go out of business, your commission check is going to stop. 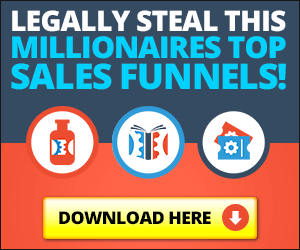 I'm going to give you the secret to picking, identifying the right network marketing company for you and then jumping on-board and having the best success you possibly can with that company. There's a number of factors to look at but we're going to look at the top four. The first thing you're going to want to look at when you're evaluating an MLM company to join. I don't care if they're a baby, less than a year, or 10 years, or 15 years, or 30 years. You look at their leadership. In other words, their corporate executive team, the management team. Have they been in the industry before? Do they have network marketing experience running companies? Now, there's a big difference between a field leader who is a network marketing top earner trying to run a company now. That doesn't mean they're going to have success. I've seen top earners start network marketing companies and fail miserably. Just because they were a field rep doesn't mean they're going to be successful on the corporate side and vice versa. The best mix here is if you have a team of corporate executives that have a proven track record and you have somebody from the field that's built a big business on-board on that side as well. That makes for a well rounded corporate team that's going to almost guarantee or assure your success. Another indicator up here in leadership that's going to help you out is look at who's filling the master distributor positions. There's some companies that have done this really well. They're about five years, six years old now and they've done this really well. They've picked very strong master distributors and their network marketing success is almost guaranteed. Look at the leadership in the organization. Make sure they're picking the right leaders at the corporate level to ensure their success. Number two is FB. No, it doesn't stand for Facebook. FB stands for financial backing. Does the corporate executive team have deep enough pockets to make sure this thing is going to run? What if they run for a year or two and they're in the red? Well, if they don't have a good, strong financial backing in their portfolio, they're going to go out of business. They'll be done. Your commission checks will stop. Make sure you look at who's backing the company. Very, very important. One of the clients that we have with our partners at Gara Group have a Hong Kong billionaire who's backing the company. He's one of the owners, one of the founders but he's also a multi-billionaire and his history and just business in general (even though he doesn't have a background in network marketing) is picking up, acquiring failed companies, even banks, it doesn't matter what it is, and then turning them around and helping them make them extremely successful. Who's backing the company in the beginning? Once the company is profitable and it's growing, it's doing $250 million in sales a year, it doesn't really matter. But, in the beginning who's backing that company? Especially if you want to get involved in a startup, that's a very, very important thing to look at. Number three, I've got two letters here: a P and a CP. The P stands for products. I don't care if it's a service-based company or a product-based company. The products or the service better be incredible. It better solve the big problem in the marketplace. We're not even talking about marketing and advertising yet. But it better be real. It better solve a big problem in the marketplace and it better stand on its own. If it doesn't, if it's just a good product, you can survive on that but I will tell you it's going to be a rough ride, especially if you don't have strong marketing, especially if you don't have strong marketing, it's going to be a grind. It'll be a grind for you. Are the products exclusive to this company only or can some other company duplicate those products? Really important things to look at. Unfortunately, there are some broken compensation plans out there in the marketplace. I'm not going to get into that. I'm not going to identify which companies they are for you because it wouldn't be right to do that. But there are some broken compensation plans out there where you get involved and unfortunately you're not compensated correctly because the compensation plan is unfair. I've seen plans that have features built in where you build a big enough team and then your team gets big enough and then they take all the volume underneath that team and they feed it back to corporate. In other words, this continue allowing you to grow any bigger because the future of the comp plan basically takes all those distributors away from you. I see comp plans like that. Be aware. Do your research on a comp plan and ask around. Make sure you ask around. Do your due diligence on the compensation plan. There are plenty of ways to figure out whether a compensation plan is fair or not. Make sure your MLM compensation plan, your network marketing compensation plan is strong. The really, really good ones will pay out somewhere above 35 to 40% of sales volume, sales dollars, not PV, BV, sales volume and I see them as high as 50. A company can pay out up to 50% of sales volume and still do things right. There's some of them that have. The really, really strong comp plans typically hover around 40% or higher. There's some key numbers, key metrics to look at. Number four is marketing and training. How strong is their marketing team? A good indicator of marketing and training is the master distributors that are involved in the company. If you look at the master distributors, you're going to see right here in these two areas whether or not they got some strength. If they have master distributors that have a background in marketing or they have master distributors that have reached the top and they're excellent marketers, then I can promise you they're going to create training programs that leave the field and grow the field in a big, big way. The master distributors will drive performance in the field. Really strong indicators that the company is going to go long term. These four things right here, if you make sure these four things are in check, you got a good chance that the company will last 10 plus years, 15 plus years or even longer. Hopefully that helped you out on how to pick the right MLM or how to pick the right network marketing company. If you enjoy this video, you got value from it, make sure you share it. If you have a network marketing company that you know that you would like to refer to us, we're happy to take on clients. We're happy to refer them to the right people. Gara Group, one of our exclusive partners can help out in terms of looking to see if they need help in any of these areas. Best wishes in your business endeavors and we'll see you on the next one.